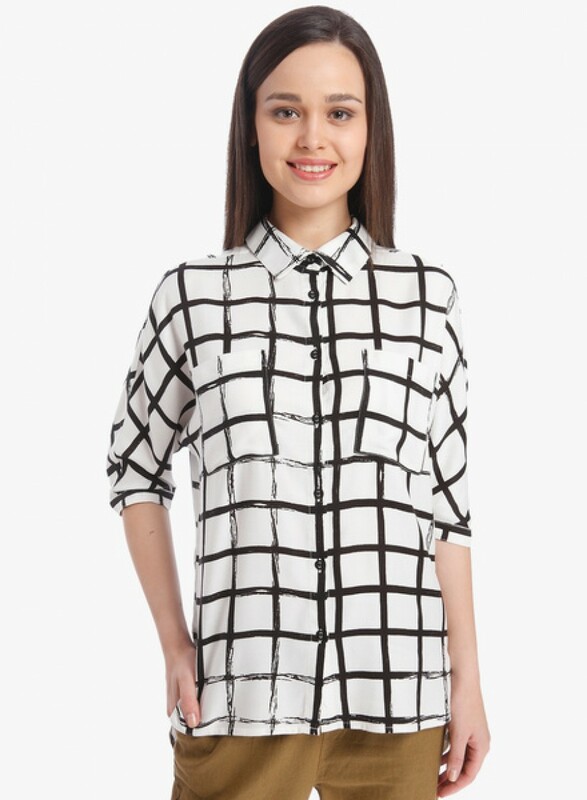 Restructure your summer sophistication with the graceful vogue of this off-white viscose shirt from ONLY. All-over checks in monochrome colour scheme define its on-trend vibe, with the button placket at the back add that edgy twist. Work it with slim-fit trousers and smart lace-ups to emphasise easy chic.